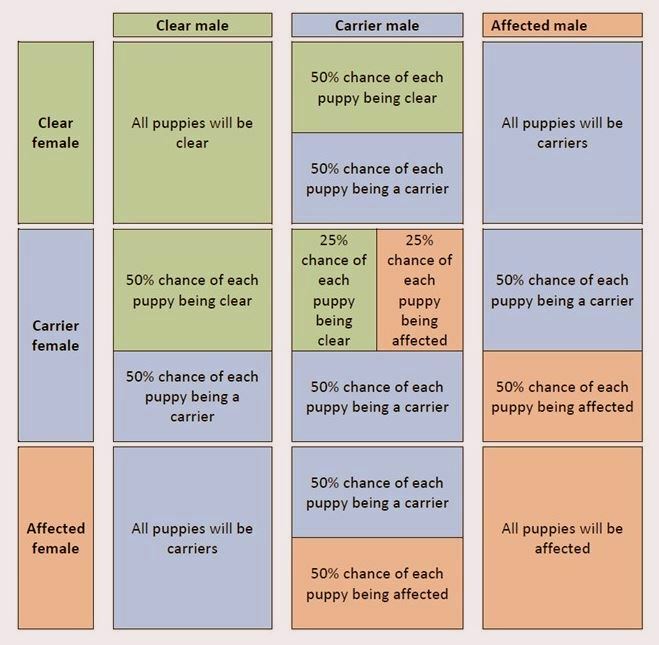 Now that a test is available, we believe that all responsible breeders should be using tested dogs, in order to eliminate this problem from our breed. ​Shar Pei are known to suffer from primary open angle glaucoma (POAG) but have also been reported to be affected by primary lens luxation (PLL). Primary glaucoma is a painful and blinding disease associated with high pressure inside the eye. It is an inherited condition and is subdivided into two types: primary open angle glaucoma (POAG) and primary closed angle glaucoma (PCAG). The following breeds are also affected... It's not just a Shar Pei thing ! Most commonly affected: American Cocker Spaniel, Basset Hound. Also over-represented: terrier breeds, Siberian Husky, Poodle, Chow Chow, Jack Russell Terrier, and Dalmatian. Primary open-angle glaucoma (POAG): Beagle, Norwegian Elkhound. Secondary glaucoma: Poodle, Cocker Spaniel, Rhodesian Ridgeback, Australian Cattle Dog, various terrier breeds (Cairn Terrier, Jack Russell Terrier, Boston Terrier). In the Shar Pei both POAG and PLL appear to be caused by the same mutation. In POAG/PLL, glaucoma results from reduced drainage of fluid from the eye. This causes a build-up of pressure which, in turn, leads to pain and blindness. The eyes become enlarged and the lens of the eye becomes wobbly or even falls completely out of its normal position. Most dogs become affected at approximately 4 – 6 years of age. We do not yet know exactly how common POAG/PLL is in the Shar Pei but the condition is frequently encountered by veterinary ophthalmologists both in the UK and in the USA. In the first 4 months of testing (1/3/2017-26/6/2017) we tested 159 Shar Pei from 10 different countries. Breeders using our DNA test will be sent results identifying their dog as belonging to one of three categories. In all cases the terms ‘normal’ and ‘mutation’ refer to the position in the DNA where this POAG/PLL mutation is located in the Shar Pei; it is not possible to learn anything about any other region of DNA from this test. CLEAR: These dogs have two copies of the normal gene and will not develop POAG/PLL as a result of the mutation we are testing for, although we cannot exclude the possibility they might develop a similar condition due to other causes or the effect of other, unidentified mutations. CARRIER: these dogs have one copy of the mutation and one normal copy of DNA. These dogs will not develop POAG/PLL themselves as a result of the POAG/PLL mutation but they will pass the mutation on to approximately 50% of their offspring. AFFECTED: these dogs have two copies of the POAG/PLL mutation and will almost certainly develop POAG/PLL during their lifetime. What shall I do if my dog is genetically affected? If the DNA test reveals that your dog is affected with POAG/PLL then your dog will either already have signs of the POAG/PLL or will develop the disease in later life. Discuss the DNA test result with your veterinary surgeon. In most situations, a referral to a veterinary ophthalmologist will be required for a detailed eye examination and discussion of what treatment, if any, is appropriate. Ongoing monitoring of the eyes will be required. Pups which will be used for breeding can themselves be DNA tested to determine whether they are clear or carriers of POAG.